Join Allioops! 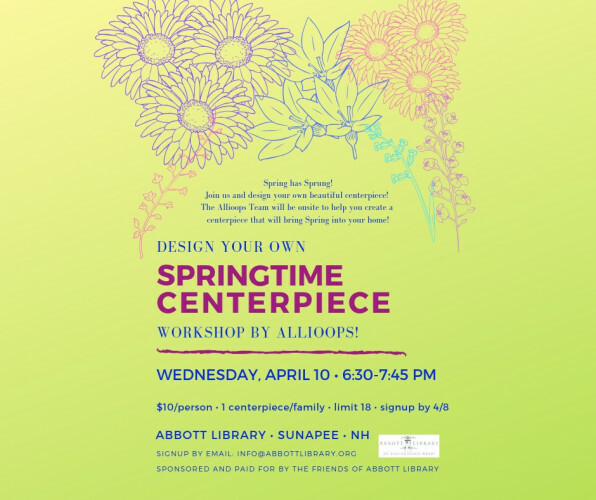 at Abbott Library and create your own spring-themed centerpiece. $10/person, limit of 18 participants, and one arrangement per family. Sign up by April 8!